Glassine is manufactured within a narrow caliper tolerance and provides very good die-cutting principals. Glassines have a very low absorption tolerance, making them perfect for consistent silicone coating. 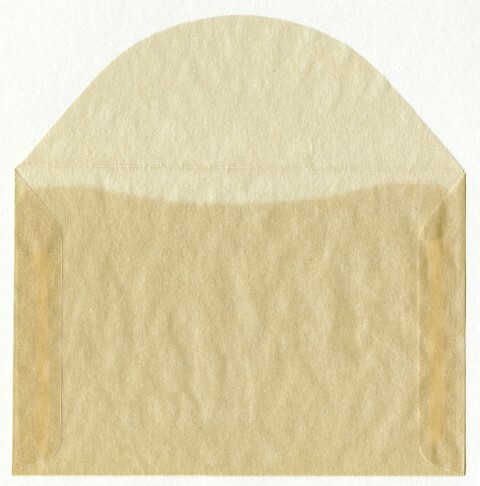 Glassine offers many advantages in comparisons to other paper carriers, especially for double sided liners within a narrow release differential. Glassine is a very thin and smooth paper that has great air and water resistant. Unless dyes are added to change its color or to make it opaque, it is translucent in nature. Glassine is manufactured by Supercalendering. This pressing of the paper fibers in the machine direction, produces a super smooth, acid-free and un-buffered surface. We can provide a range of Glassine offerings when working with you to define your project, all while giving you the option of having us hold Inventory for you. Below are the typical Glassine offerings most common seen. Please contact us for just a quick question or to discuss your new project - we are listening!! Labels, Graphic Arts, Medical, Castings and Composites. Our Glassine offerings are showing up in the following places: Insect collecting, Pharmacy, Protection of Art Work, Candy Box Inserts, Fireworks wrapping, Paperboard Tubes in Model Rocketry, Base Paper for Greaseproof Paper, Water & Oil Paintings. Available in various colors. Will not smudge when used for graphite, charcoal or pastel drawings. It has a very smooth surface making it hard for foreign objects to adhere, and will not absorb moisture. We can provide Glassine coated with Silicone on one or both sides, with a different release level on each side if needed.